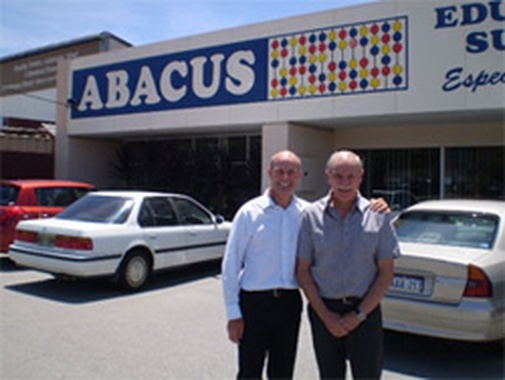 Over the last 20 years or so Abacus Educational Suppliers (Abacus) have been supplying educational products, resources and equipment to teachers at schools across Australia. During the last 5-7 years Abacus developed a series of professionally produced catalogues that assist teachers with a medium from which they can select various educational resources and class kits. In recent times, Tactica Partners has provided guidance in helping Trevor Sampford, the Director of Abacus, move from working in the business to working on the business. With this change there came a fundamental shift in the thought processes required by Trevor to compliment the growth and continuing maturity of the business. In July 2007 with turnover exceeding $2m it became evident that Trevor and the Abacus team were in need of assistance in undertaking some strategic planning to help them further develop the business model. After much consultation with Trevor, Tactica Partners formulated an agenda to conduct a Business Planning Workshop with Trevor and his key staff. During the initial consultative phase it became clear that one of the key items that Abacus was lacking was the ability to communicate its fundamental purpose for existing. Although Abacus was beginning to demonstrate improved financial performance there was no common principle to provide a platform from which stakeholders could help drive and develop the core values and therefore future success of Abacus. In other words Abacus had no mission statement to express the fundamental purpose of the organisation. Tactica Partners were able to successfully extract the mission statement wording from the ensuing discussion eventually leading to “Abacus Educational Suppliers…Saving Teachers Time”. This key statement now adorns all marketing, stationary and website material for Abacus Educational Suppliers and has provided the cornerstone statement to which all staff and customers now associate the continuing success of the business. According to Trevor “Although there were other great outcomes from the Business Planning Workshop and the facilitation process driven by Tactica Partners it was the development of this mission statement that set Abacus, and my staff on a new level of understanding”. It has helped to lay the foundation for greater ‘buy in’ of the concept by staff leading to a much more focused understanding of what separates Abacus from its competitors and has influenced the shape of new products. As Trevor Explains “I wish we had used Tactica to run the Business Planning Workshop much sooner than we did”.